Blocks, Trucks + Art is a program that inspires children to find their passion through creativity, physicality and academic learning. Blocks, Trucks + Art is a progressive education initiative housed inside and around an 18-wheeler, aimed at children ages 3-13. Our mission is to tap into all aspects of the developing child: social-emotional, creative, cognitive + physical. Our program is not only an enriching experience that children love, they also develop skills, such as creative thinking, collaboration, problem solving, spatial awareness, gross and fine motor skills, and social pragmatics that they can use back in the classroom and in everyday life. Blocks, Trucks + Art anchors the work with our youngest learners in the realm of block play. Blocks are the simple yet dynamic material used in early childhood settings around the world. Blocks provide the opportunity for young children to better understand the world around them. During block play, children are expressing their thinking, pondering questions and collaborating with their peers — essential components in becoming confident, critical thinkers and problem solvers. 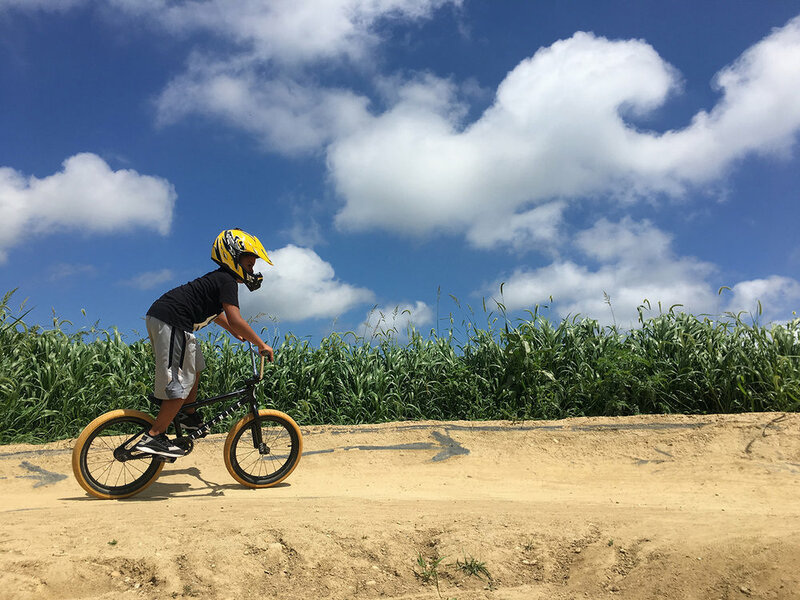 Blocks, Trucks + Art's bike sessions involve kids riding on a professional outdoor pump track at Hayground. Bicycling supports gross motor skills, teaches perseverance, promotes physicality, in addition to learning fun tricks and basic bike mechanics. 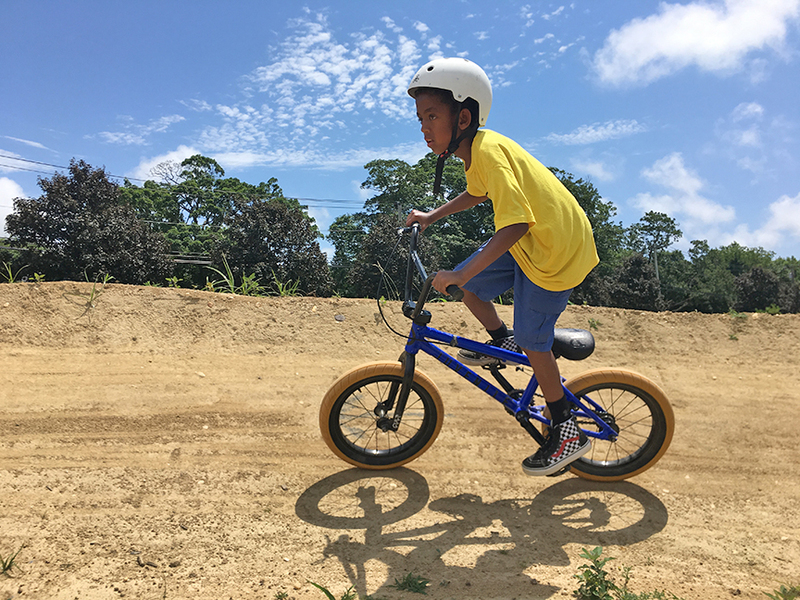 Blocks, Trucks + Art offers after-camp BMX sessions and private tutoring at Hayground to non-Hayground campers. The 18-wheeler (called Big Mama) is the centerpiece of the program. The truck serves as an alternative learning environment: engaging, exciting and motivating children. The truck is a concrete example of how we can bring our approach to learning anywhere — certainly beyond the walls of a classroom. Blocks, Trucks + Art co-founders, Jeff Mayer and Angela De Vincenzo, had the vision of using an 18-wheeler as a children’s workshop space. The truck concept grew out of their son’s passion for big rigs. The summer program currently runs at Hayground Camp in Bridgehampton, NY. We are planning to take our truck and program on the road to schools, museums, libraries and more starting this year. Blocks, Trucks + Art integrates various open-ended materials into the program (in addition to the blocks). Paint, clay, and paper are offered to extend children’s thinking about their block structures. In addition, Blocks, Trucks + Art hosts various professional working artists to inspire and work alongside the children. 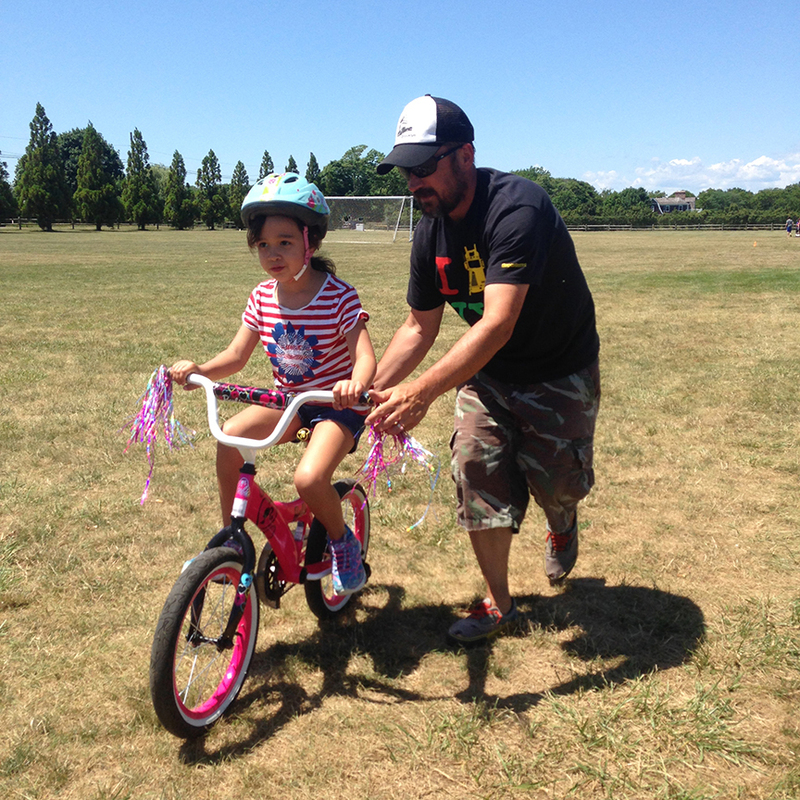 Founded by progressive educator/learning specialist, Angela De Vincenzo, and designer/former pro BMX biker, Jeff Mayer, the mission of Blocks, Trucks + Art is to bring the program to the 5 boroughs and scale it to serve kids of all ages and backgrounds.